itrace57 has no other items for sale. 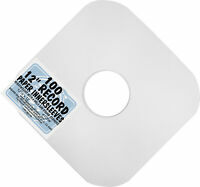 Details about RCA Discwasher RD1006 RD1006Z Vinyl Record Care Cleaning D4+ System, New! 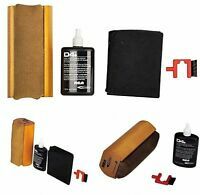 RCA Discwasher RD1006 RD1006Z Vinyl Record Care Cleaning D4+ System, New! 50 Pack MoFi MFSL Mobile Fidelity.Sound Lab Original Master LP Inner Sleeves. 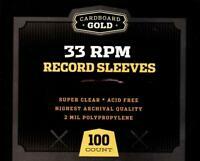 Good quality materials, very smooth, has enough height to make it hard to hit the record with the wood. My records got noticeably cleaner and performance improved. I still have my vintage Diskwasher set that I've had since the late 1970s, but I was running low on cleaning fluid, so I bought this new set. The quality of the original was top notch, but this one is just so-so. The vintage version is all solid hardwood (looks like maybe walnut? ), and the bottle of cleaning fluid fits nicely inside it for storage. Because my old brush unit is still like new, I won't be using the cheap looking new one. All I care about is the fluid. Item works real well to clean vinyl records. It is also easy to use, plus the cleaning surface can be cleaned and clean. Thats also a nice thing too. Having noticed the great price, I purchased two orders. The cleaning fluid removes debris, and vinyl performs optimum. D4 also helps stop the static in vinyl that attracts dust. Great product. Clean records just sound better. This system has everything you need for easy cleaning and great results.